Hip replacement, Hip resurfacing, Revision Hip replacement Knee replacement, Revision Knee replacement, Young patients, Conservative surgery, Anatomical deformity, Bone loss and Bone restoration, Dealing with infected cases, Second Opinion. Martyn has worked at at Wrightington since 1995. He qualified from the University of Manchester and is a Fellow of the Royal College of the Surgeons of Edinburgh. He was a Johnson and Johnson fellow in Reconstructive Surgery at the Brigham and Womens' Hospital (Harvard University, Boston USA) in 1989 and has developed a special interest in joint replacement surgery of the hip and knee. Martyn has particular experience in treating young patients with arthritis and treating patients who have problems after operations and dealing with revision surgery of the hip and knee. He uses a variety of fixation techniques, both cementless and cemented fixation depending on circumstances. He is interested in using different bearing combinations such as metal on cross link polyethylene, ceramic on ceramic and metal on metal and some newer combinations. He has also got extensive experience of hip resurfacing - over 400 cases and conservative methods of dealing with arthritis. Martyn is Vice President of the British Orthopaedic Association, Chairman of the Professional Practice Committee, Past President of the British Hip Society, present Council Member of the British Orthopaedic Association and Assessor for the Royal College of Surgeons of England. 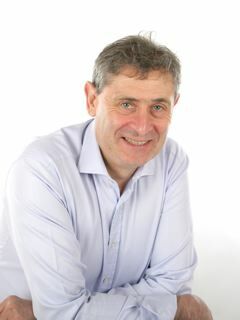 He sits on the Steering Committee of the National Joint Registry of England and Wales (NJR) and is Chairman of the Editorial Board and as such is responsible for producing the NJR annual report. He is also Divisional Chairman of the Musculo-Skeletal Division of Wrightington Wigan and Leigh NHS Trust. He was awarded the Bradley Memorial Prize for surgery (1979), the Charnley Prize (1984), Malimson Bursary (1986), Burton Memorial Prize (1989) and was an ABC Travelling Fellow in 1994. Martyn has an extensive experience in outcomes research and runs the Clinical Outcomes Research Group at Wrightington Hospital where he works with Dr Brian Derbyshire looking at RSA analysis of joint replacements- a detailed x-ray technique to look at small migrations of movement of implants- which may predict long term success of joint replacements. He has published more than 70 papers (mainly on the outcomes of various different types of joint replacement) and has in excess of 150 Podium Presentations. He is a keen teacher and has lectured on many courses and conferences, both in the United Kingdom and abroad. Martyn has an interest in motor racing having competed in Formula Ford and Formula Three. He has been on the receiving end of surgery and has had his own hip replaced (motor cycle injury)!